Sonor Music Editions present a reissue of Giuliano Sorgini's Lavoro E Tempo Libero, originally released on Goldfinger in 1980. 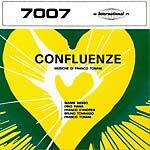 A highly sought-after Italian library jewel with mental disco-funk cuts and sleazy grooves. The music here was used to score various documentaries for Italian Rai TV, Lavoro E Tempo Libero by the eclectic maestro Giuliano Sorgini is another stellar recording from the comprehensive Italian library world, very different from his '70s masterpieces like 1971's Under Pompelmo (CNLP 037LP) or 1974's Zoo Folle, but with a perfect early '80s sound and clear funky greatness mixed with some very beautiful chill jams. An insane set of dark funk bangers filled with drum breaks and beats, different refined moods with soothing airs and lounge-y suites, exquisite flute notes by Nino Rapicavoli, along with sharp guitars and sleazy basslines. 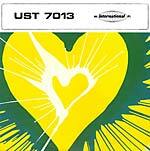 Easily one of the top albums out of library labels Usignolo/Goldifinger. Renewed artwork. Remastered sound from the original tape. 180 gram vinyl; Editions of 500. Sonor Music Editions present a reissue of Enzo Scoppa and Cicci Santucci's Mirage, originally released in 1971. 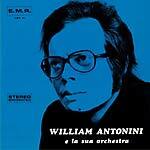 Absolute mythical Italian library LP out of the New Tape micro-label vaults. Mirage is an album signed by SCOEN, aka Enzo Scoppa, and actually composed and arranged by Francesco Cicci Santucci, originally released in 1971 in an edition of 100 copies only. Dreamy collectors' item and super obscure gem, this outstanding LP is another must-have jewel from the unlimited Italian music library production of the '70s and easily one of the top of this game. What we have is mental jazz-funk beats with fat basslines and killer drum breaks, bewitching exotica groove, and dope lounge moods, all driven by a solid groovy key for the whole album. Another monster Italian library is just filed. Edition of 500. 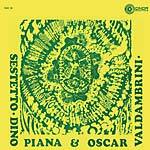 Sonor Music Editions present a reissue of Sestetto Dino Piana & Oscar Valdambrini's 10 Situazioni, originally released in 1973. A historical Italian jazz session -- An outstanding and magnificent jazz funk jewel and the first album by this killer combo led by Dino Piana and Oscar Valdambrini. 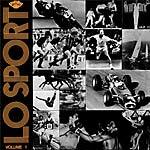 An original jazz library recording used for the soundtrack of Rai TV program Serata Al Gatto Nero (1973). A top Italian groovy jazz and mental album -- Easily a grail of the genre, featuring some terrific breaks, killer wah-wah guitar and funky Hammond, with a solid backing studio orchestra. Loads of laden stylish grooves with brilliant modal jazz numbers, smooth vibes, and cool jazz influences with different musical themes. Every track is just heaven with several hot club tunes for DJs. 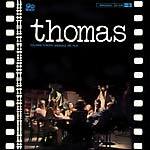 Personnel: Oscar Valdambrini - trumpet, flugelhorn; Dino Piana - trombone; Antonello Vannucchi - organ, piano; Giorgio Rosciglione - electric bass; Sergio Conti - drums; Silvano Chimenti - guitar. Music by Franco Piana and Enrico Valdambrini. Edition of 500. Sonor Music Editions present a reissue of Narassa and Zanagoria's UST 7011 - Popfolkmusic, originally released as part of the Hi-Fi International series on Fonit Cetra in 1973. Narassa, aka Alessandro Brugnolini, and Zanagoria, aka Giogio Carnini, present a side each. This very rare, Italian library - still unknown in to some in the record collectors circle - features some of the most insane grooves made in Italy. 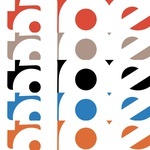 Outstanding, spaced-out break-beats with the best up-tempo, hip hop beats and b-boy funk tunes that anyone could ever desire, all mixed in with easy listening scores and happy synthesizer themes. Flipback sleeve replica of the original; Edition of 600. Sonor Music Editions present a reissue of Piero Umiliani & I Suoi Oscillatori's Switched On Naples, originally released in 1972. 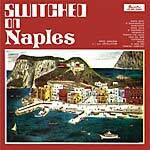 A very underrated Umiliani album, Switched On Naples is an outstanding ‪‎library album with a pure touch of genius. Maestro Umiliani revisits Naples's popular songs by the use of synthesizers, carrying the record out with entirely electronic sounds. 180 gram vinyl. Gatefold sleeve. Remastered sound from the original master tapes. Released 500 copies. Italian prog holy-grail and one of the most prized records of the genre. 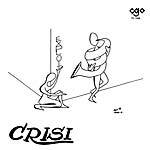 Impossible to find in its original edition, Exploit's Crisi remains a fleeting appearance of Italian discography and a fair object of desire in the record collectors circle. Musically influenced by symphonic rock legends of the period like Emerson Lake And Palmer and Italian top prog bands like Le Orme. Features a stunning progressive suite on the first side followed by a more commercial pop-rock vibes on side B. 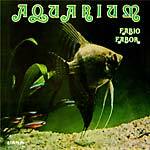 Released in 1972 on the small library label CGO with faint distribution and signed by Italian library players and session men of the time like Walter Rizzati. Screaming organ, whirling drums/percussion/sounds and overflowing bassline. A legendary, Italian progressive-pop album. 180 gram vinyl. Remastered sound. Released 500 copies. One of the darkest and in high-demand Italian Library. 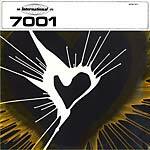 From the infamous Fonit 7001 series, is the most obscure and deepest of Rino de Filippi's creations, Atmosfere, composed along with maestro Giancarlo Chiaramello. 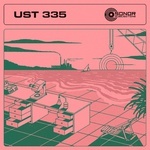 Obstinated dark breakbeats like in the killer "Ostinazione" with fuzz psychedelic guitar and amazing drumming tempo. More dark samples on "Pulsazioni". Spookiest guitar and basslines ever and scary atmospherics with screaming sophisticated vocals too. Insane record! 180 gram vinyl. Remastered sound. Released 500 copies. Italian free jazz milestone. Here's Franco Tonani (Night In Fonorama) (1964) at the drums together with top Italian jazz musicians of the time for a full free jazz/avant-garde session. Tracks like "Shepping", "Odd Piece" and "Whisper" are high-class bopping jazz cues with Tonani killing at the drums. Other weird and avant-garde themes on both of the sides. Legendary Italian jazz album!